After writing more than 100 blog posts on cotton, it can be fun to watch posts keep showing up in my stats. There are a few posts that seem to show up frequently. They are posts that help explain things people may be interested in or that people find here or there and want to share with others. Since I moved the blog from my previous webhost (note to all – I suggest you steer clear of inmotion hosting), I think its’ really interesting to see which posts are getting the most traffic! Here are my Top 10 posts about my favorite fiber — cotton! I love that my top viewed cotton post was something I put together as a response to a friend’s tweet two years ago! The friend was asking whether it was possible he was seeing cotton in the field when he was far from his Midwestern home. It was! I wrote a post including photos from planting, early season, mid-season, fruiting, harvest time and post harvest. With each photo I talk through some of the key things happening on cotton farms. Since those are 2012 numbers, I am thinking I will do similar posts on an annual basis. I did a look forward to 2013 cotton acres a bit ago that seems to be really popular. We all learned about cotton gins and Eli Whitney in elementary school but somewhere along the way, a bunch of us have forgotten what a cotton gin is for since then. The gin is where cotton farmers take their crop to have the cotton lint separated from the seed so it can go to textile mills and become clothes, towels, etc. What’s the Fabric of our Lives About? Why Advertise Cotton? When you drive down the backroads of America, or even the interstate in rural areas, people sometimes see a sign on the edge of a farm field. Some fo us aren’t sure what those are for and some make assumptions about what they mean. But farmers do that as a sign for each other, this post helps explain all of that. People will joke about being so hungry they could eat something as unappetizing as cardboard, but could you ever eat cottonseed if you were really hungry? Its a yes and no answer that you may want to know more about before biting in. The mean ol’ boll weevil is probably the one cotton bug that more people have heard of than any but for those of us in the US, we should know it’s not even native to the US! It came here years ago and American farmers want it to go home to Central America. Here’s what’s on the minds of those farmers as they look to the future. Products made with cotton fiber / lint is really well understood. Most of us have cotton sheets & towels, jeans & t-shirts, etc. But what happens to cottonseed when it leaves the cotton gin? Well there are several things. 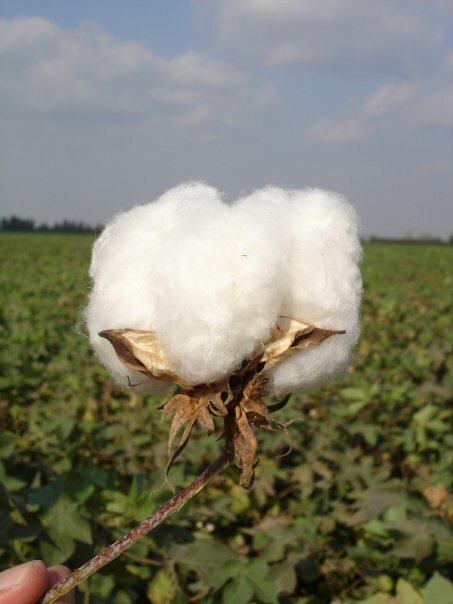 This is a post that provides some of the trivia — bits and pieces of things that I think are interesting about cotton. Yeah, I am a total cotton geek! When a cotton gin in Arkansas hit the milestone of ginning one million bales of cotton, it got me thinking about the contributions of this small town that most Americans had never heard of. How much cotton is one million bales and how many pieces of clothing would that make for folks in a big city?